Denise Brixey grew up in the San Francisco Bay area, where she studied writing. During her many years of living in a big city from birth into adulthood, she had more than her share of challenges. When she left the big city life to move up to a small town in the Gold Country, Denise volunteered at a cat rescue. She soon discovered that, while she was working to save them, it was she who was magically being rescued by the cats! Felines have been a meaningful part of Denise’s world ever since: starring in blogs, social media pages, and currently, her new book series. Although he’s been physically absent for years, the original Harry, a.k.a. Monkeyface, continues to magically impact her life through his teleportation that continues to fuel Denise’s passion for writing and love for her cats. 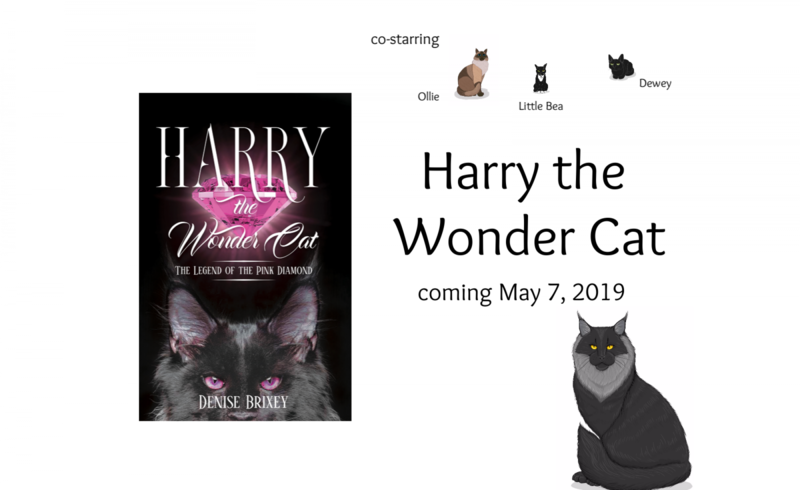 Harry will live forever, so Denise started her series, Harry, the Wonder Cat, to share all his antics and spread meaning and joy to the lives of readers.